Transcription of Obituary in the Primitive Methodist Magazine by W.A.H. Maud Hind, the beloved wife of Rev. G. Hind, was born in Norwich, January 5th, 1872, and died there on Thursday, March 21st, 1907. 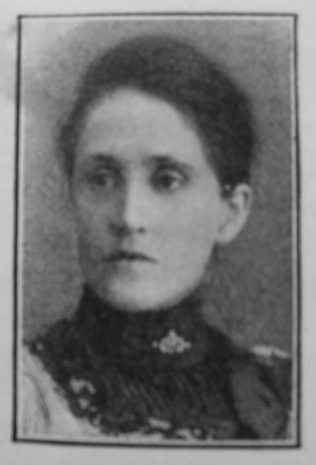 She was the beloved daughter of Mr. and Mrs. Emms, of Woodhurst, Norwich, for many years connected with our Dereham Road Church in that city. In her childhood she was early taken to the Sunday School and remained, first as scholar and then as teacher, until her marriage with Rev. G. Hind. Early in life she definitely yielded herself to Christ and was intensely devoted to the Master, rendering very fine service to the church. The girls of her class were greatly attached to her. They sought her counsel and advice and over them she swayed a remarkable influence. She had exceptional gifts for visitation amongst the poor and afflicted. During the time of Mr. Hind’s ministry in Norwich she was united with him in marriage and shortly after removed to Hornsea where she speedily won the respect and affection of the members of the church, and of a wide circle of friends. After four years residence there she removed to Hull 1st Circuit to be associated with the old Mother Church of West Street. Here it seemed as though she had found her true sphere of labour, and into the difficult work of this church she threw herself with great devotion and energy. Alas, those days of service were few. Unexpectedly called home to assist in nursing her brother who was ill, she was suddenly smitten down with malignant influenza. The news of her illness created consternation amongst her friends but none imagined it would be so brief. Quickly it flew to the brain and within a few days she had passed beyond the shadow into the light of immortality. The blow fell with awful suddenness upon the devoted husband and aged father and family, and not less upon the church. It seemed impossible that the quiet and gentle worker should be called away so suddenly and strangely from the post of service where she was so greatly needed and the home where she was so beloved. On Wednesday a large number of friends gathered in the Dereham Road Chapel, Norwich, where she had spent so many years of happy service, to tender their last tribute of respect to her worth. Maud was born to parents William, a draper, and Hannah Maria. She worked as a draper’s assistant (1891) before her marriage. Maud married George Hind (1866-1955) in the summer of 1901 at Norwich, Norfolk.